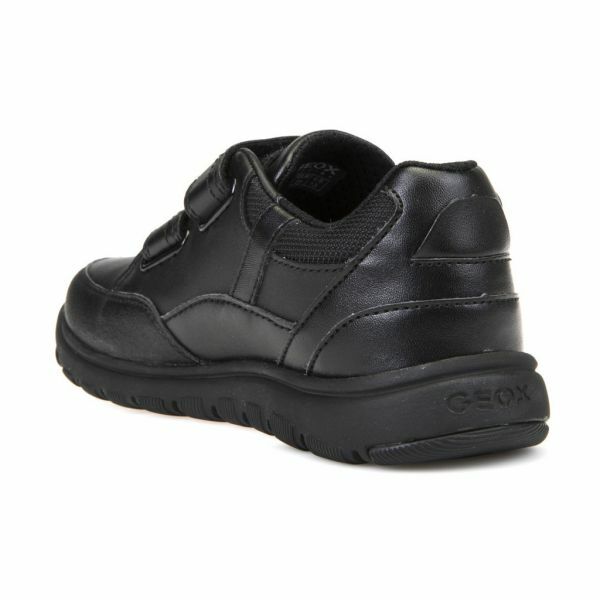 Boy’s breathable supercomfortable lightweight and flexible school shoe. 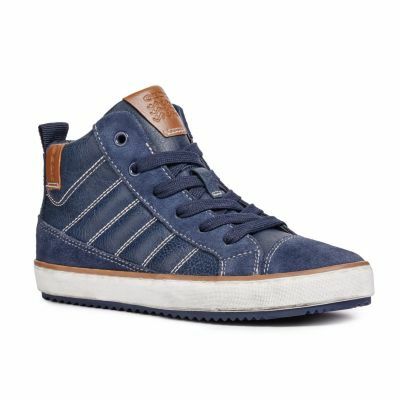 Enhanced with an exclusive Geox-patented perforated sole, this Xunday Boy sneaker is extremely breathable and comfortable. 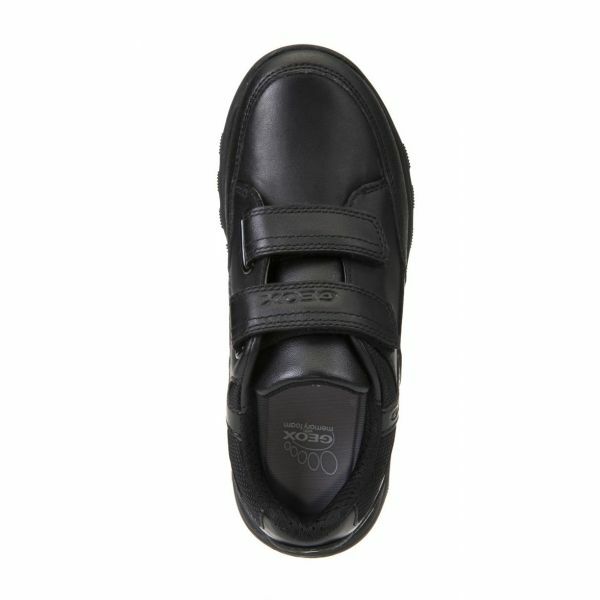 With a lightweight sole in cushioned flexible EVA, it features a tread with rubber inserts that provide an improved grip and extra durability whilst the grooves ensure flexibility and adapt to the natural movement of the foot. It is also non-marking so it prevents any damage to floors. 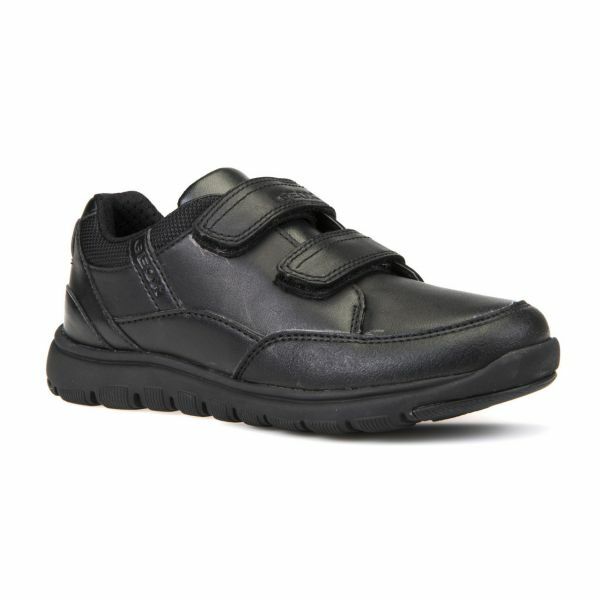 The mesh lining makes it even more breathable, the insole is removable for hygienic and practical purposes and there is also a memory-foam insert at the heel to give added comfort. 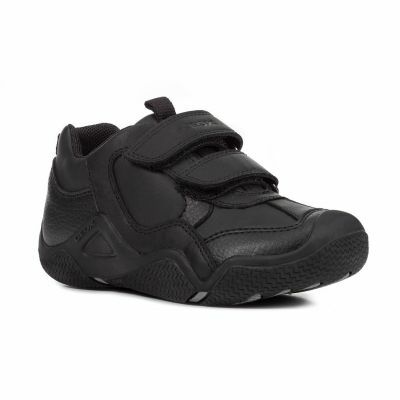 Made from different materials, the jet-black upper has an adjustable double-velcro-strap closure making it really easy to slip on.